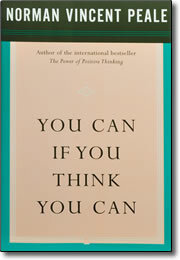 You Can if You Think You Can contains dramatic, heartwarming stories of how men and women — of all ages and in all walks of life — transformed their lives and careers by following Dr. Peale’s philosophy of positive thinking. Learn to develop the vital knowledge of inner power to carry you over every obstacle. Ah ha moment with this book! Beginning of releasing self-doubt and building confidence.